With this post, I’m launching a new blog, “Biofuel Policy Watch”. I’ll be using this blog to report and comment on legislative, regulatory and other public policy developments that may affect the development of biofuels and other renewable fuels, as well as bio-based chemicals. This will not only include developments in the United States, but internationally as well. I hope this won’t be just another biofuel blog or website. There are plenty of other online resources reporting news relevant to the renewable fuels sector, and some of them are quite good. In fact, I’ll be relying on several of them for my news sources, and I’ll acknowledge and link to them as appropriate. What I hope to do is to focus on the most important government policies around the world, and report on those critical developments that might impact companies developing or manufacturing biofuels, bio-based chemicals and similar products. So, I won’t be simply reposting company press releases or reporting (to any great extent) on markets or business developments, except as they relate to government policies or actions. The U.S. Renewable Fuel Standard (RFS), focusing on its implementation by the U.S. EPA and proposed regulatory revisions, as well as the ongoing public policy debates in Congress and elsewhere about the RFS, its goals and annual volume mandates. 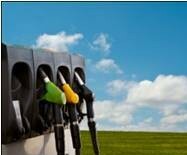 Government mandates or blend limits for ethanol or other renewable fuels (e.g. the recent EPA approval for E15) in the U.S. and elsewhere around the world. The California Low Carbon Fuel Standard (LCFS), its implementation and the challenges it faces, as well as the prospects for similar legislation in other states and regions. The European Union Renewable Energy Directive (RED), and its controversial new proposed revisions, as well as public discussions about the goals and effectiveness of the program. Discussion and analysis of other public policy developments and controversies, in the U.S. and elsewhere, affecting the biofuels industry. For example, I hope to be able to report and comment on governmental efforts by countries other than those in the major markets to promote the development or use of renewable fuels. This new blog will be a companion of sorts to my other blog “Advanced Biotechnology for Biofuels”, which will focus more specifically on those biofuel companies that are using the advanced tools of genetic engineering and biotechnology to develop new biofuels, as well as the U.S. and international regulatory programs that affect the use of advanced biotechnology for these purposes. However, I expect there’ll be some overlap and cross-posting between the two blogs. As always, I’m happy to respond to comments or questions from those of you who are following these blog posts. I look forward to continuing the dialogue on the prospects of this exciting and promising industry, and I hope you find this new blog to be interesting and useful. D. Glass Associates, Inc. is a consulting company specializing in government and regulatory support for renewable fuels and industrial biotechnology. David Glass, Ph.D. is a veteran of over thirty years in the biotechnology industry, with expertise in industrial biotechnology regulatory affairs, U.S. and international renewable fuels regulation, patents, technology licensing, and market and technology assessments. Dr. Glass also serves as director of regulatory affairs for Joule Unlimited Technologies, Inc. More information on D. Glass Associates’ government and regulatory consulting capabilities, and copies of some of Dr. Glass’s prior presentations on biofuels and biotechnology regulation, are available at www.slideshare.net/djglass99 and at www.dglassassociates.com. The views expressed in this blog are those of Dr. Glass and D. Glass Associates and do not represent the views of Joule Unlimited Technologies, Inc. or any other organization with which Dr. Glass is affiliated.